Maze 7 is an example of a Roman mosaic tile maze, usually located on the floor of a palace or temple. Notice the four quadrant style that orbits a central piece of art. 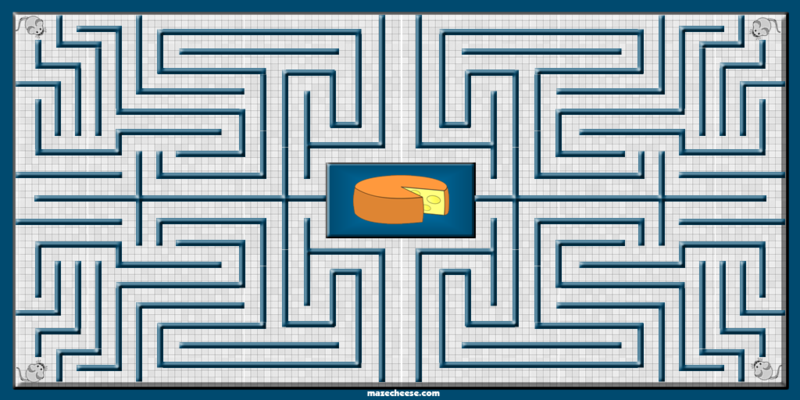 I have noticed that little children enjoy this maze. 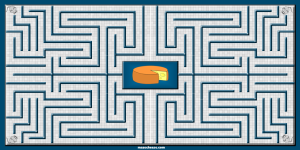 They like getting the four mice to the middle cheese. Hand them a stylus (if you go to mazecheese.com) and let them have some fun.